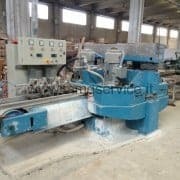 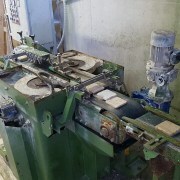 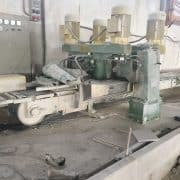 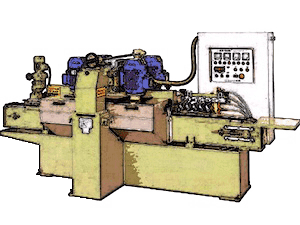 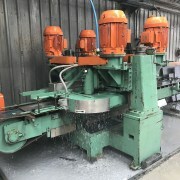 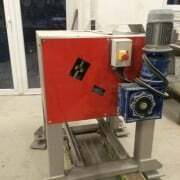 Second hand, used Horizontal splitting machines for marble and stone strips . 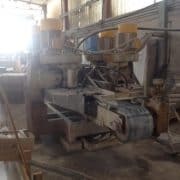 The splitting machines are used for the splitting of stone blocks that are cut horizontally into two parts by means of horizontal diamond blades of increasing diameter and parallel. 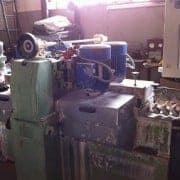 The splitting machines machines in this section come from closed companies, bankruptcies or companies who want to renew their machinery and then sell their used. 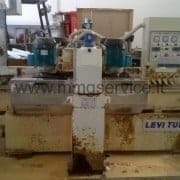 Used splitting machine Levi Tunisi 4 discs, max width 460mm.